Wyatt Waters paints a variety of subjects in plein air using transparent watercolor. His work has been featured in Art & Antiques, American Artist, Watercolor Magazine, Mississippi Magazine, and Delta Magazine. His paintings are held in private and corporate collections. He has had solo shows at the Mississippi Museum of Art, the Lauren Rogers Museum of Art, the Meridian Museum of Art, and the Jackson Municipal Art Gallery. He has published several books featuring his watercolor paintings, including An Italian Palate, which is his most recent collaboration with chef and restaurateur, Robert St. John. 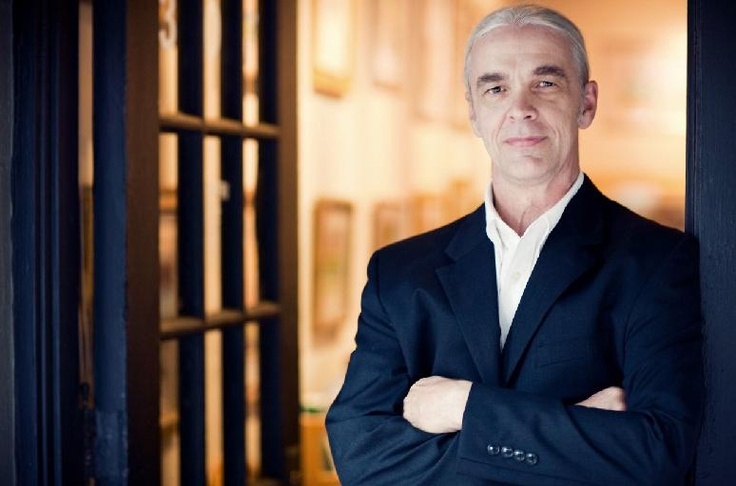 He received the Mississippi Institute of Arts and Letters award for An Oxford Sketchbook and the Mississippi Library Association Special Award for Art for his collaboration with Robert St. John, A Southern Palate. In 2010 he received the Mississippi Arts Commission Governor’s Award for Excellence in the Arts. Wyatt owns and operates the Wyatt Waters Gallery in Clinton, Mississippi. To view more of Wyatt’s work, please go to WyattWaters.com or visit Wyatt Waters Gallery, 307 Jefferson Street, Clinton, MS 39056. This "Artist Edition" includes the birthdays of every well-known artist we could think of! There are also great quotes from artists such as Marc Chagall, Georgia O'Keefe, Paul Klee, Henri Matisse, and more. We have made a few subtle improvements to our design this year. In addition, the paper we have chosen is textured, to imitate watercolor paper, and is a sturdy, medium weight paper. Each of the 13 images in the calendar is designed to accommodate a 16 x 20 frame with a three-inch mat. Mr. 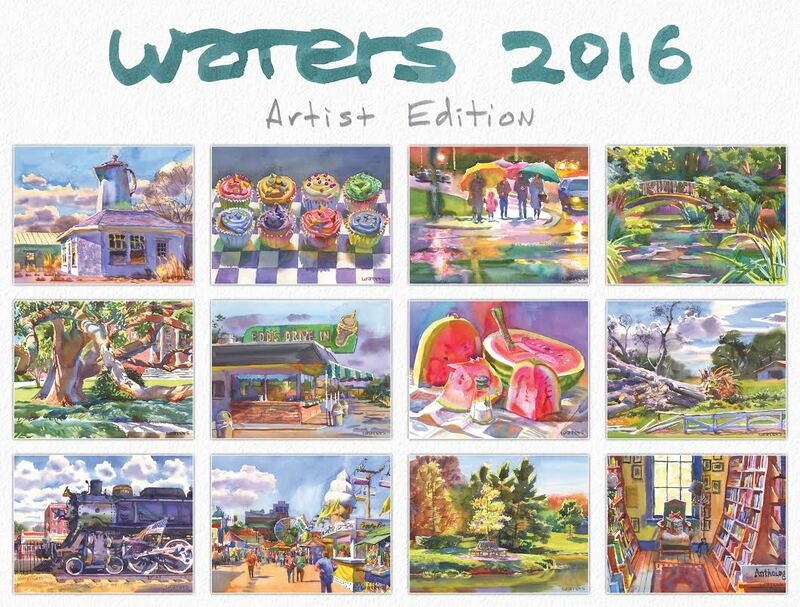 Waters will be at the Winston County Library December 1, 2015 from 11:00 a.m - 1:00 p.m.